I, and my assistant Karen, attended the Kansas Salutes the Troops event held at Flint Oak the weekend of October 6 and 7. I have seen firsthand how important these programs are to our veterans, and would like to thank all those involved. The PVA-ORHF is a wonderful program made up of caring people that show the respect our troops deserve. Please see the links below to see what this is all about. When choosing iron sights for the SRC rifles, it is important to make sure you get the correct height front sight. Most manufacturers of rail mounted iron sights make two different heights for the front sight. With the SRC (and VEX rifles) you have to make sure you get a front sight that is for “same plane” sighting. In other words it has to be the same height as the rear sight that is mounted to the picatinny rail on the upper. Some confusion comes in here when you see a company that offers a “Gas block height detachable front sight”. Right now we are one of the only manufacturers that make an AR15 in which the picatinny rail on the gas block is on the same plane as the upper receiver. Most company’s gas blocks have rails that are lower than the rail on the upper. Front sights for these rifles have to be made taller to make up this difference in height. So what happens if you mount one of these taller front sights on an SRC is your rifle will end up shooting way too low and you cannot move the front sight post down far enough to get the gun on target. Q: Can I ship my rifle to you or do I need to take it to my dealer ? Answer: Yes, you can ship your rifle to us for service and we can ship back to you. We do recommend that rifles be fully insured when you ship to us. If the entire rifle or serialized lower is sent to us, then we will require an adult signature when it is shipped back to you. If the rifle is sent in from your FFL dealer, then it will be shipped back to the dealer. As Mark Eliason, our VP of Sales & Marketing talked about this month, I had the honor and privilege to attend the Kansas Salutes the Troops 2012 event at Flint Oak. Participating in the European pheasant hunt and clay shooting was a great experience, but more amazing was the opportunity to meet, spend time with and get to know the veterans at this event who were the guests of honor. To be able to talk with them and have them share their personal stories was truly an honor. We also shared a lot of laughs. Seeing first-hand the caring and camaraderie that developed among the veterans, sponsors and amazing people from the PVA-ORHF over the weekend is something that I hold dear to my heart. We made many new friends and look forward to continuing to support and take part in such a worthwhile and important program. Thank you to all of the veterans, sponsors and the team from of PVA-OHRF for allowing me to be a part of such a special event. I would also like to thank the staff at Flint Oak, who were warm, welcoming and great hosts. I have shared a few pictures from the weekend, and hope you have the chance to read the news stories from the event to get a broader sense of what this event was all about. This kit is designed to provide every part you would need to keep your rifle fully functional in the field – the perfect emergency selection to stow in your rifle case! All are top quality Windham Weaponry parts including: an M16 Firing Pin; a Firing Pin Retaining Pin; Bolt Cam Pin; Extractor Cartridge; Extractor Pin; Extractor Spring; Extractor Spring Insert; Extractor O-Ring; a set of 3 Bolt Gas Rings; Hammer and Trigger Springs; Disconnector Spring; Hammer and Trigger Pins; a Front Sight post (taller .040″ height); an A1/A2 Front Sight Adjusting Tool and a CP-02 Chamber Plug/Safety Tool. Never be without that critical part to keep your rifle firing! MechArmor Defense Systems has developed the TacOps-1 Charging Handle that offers both ambidextrous operation and ease of use with large scopes or other bulky optics. The “T” shaped handles extend farther out from the receiver for quicker grasp and operation, and a patent pending “dual mode” push button latch extends from the rear of the handle for easy right hand operation when shooting from the prone position. A 42% larger heavy duty roll pin is employed to keep the latch tight on the handle and a 7 pound stainless steel latch spring keeps it locked tightly onto the receiver to avoid possible blow back. This quality handle is machined from 7075 billet aluminum with a black hard anodize finish. Made in the U.S.A. 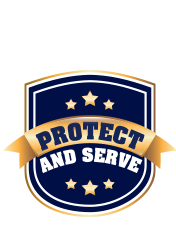 I would like to start this month by personally thanking the hundreds of Police Officers, Customs Agents, U.S. Marshals, Border Patrol Agents, Deputy Sheriffs, Troopers and all others in Law Enforcement that have purchased a Windham Weaponry rifle. There is no better way to spread the Windham Weaponry story than by word of mouth from those on the front lines. I truly believe that is the reason Windham Weaponry products are now in over half the states in the country in the hands of sworn Officers. This month I traveled to Richmond, Virginia to display just some of what Windham Weaponry has to offer. I had the pleasure of meeting Officers from the Virginia Department of Corrections, Sheriffs from several of the neighboring communities, the Virginia State Police and many municipal officers from area departments. 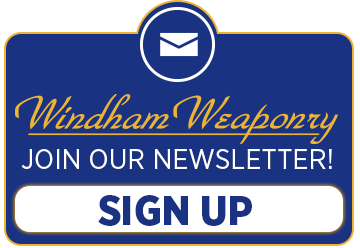 Many had heard of the Windham Weaponry story, but many had not. So, it was not just an opportunity to spread the word, but also it was a chance to get some great feedback from some of the guys and gals on the front line. One of the great things for me here at WW is the fact that we listen to what those on the front line need. I have been able to take some of those suggestions and get them to the drawing board in hopes of getting the product that is needed out there for them to do their jobs. We don’t just say that we produce the right tool for the job, we mean it. Doug is known and respected for being a top-notch production manager, who, on numerous occasions has led his team to produce quantities of rifles from our small factory that seem unheard of. We all appreciate his vast knowledge of the AR platform – he knows these weapons inside and out and has a keen sense for what will work and what will not when developing new products, attending shooting events and industry tradeshows. Doug’s ability to keep his line running smoothly, but also creating an atmosphere of teamwork, family and pride is no small feat, but he makes it look easy. On any given day, you hear laughter and see smiles among his team. His team spirit and caring are contagious. Doug began his firearms career in 1992 joining Bushmaster’s production assembly, where he quickly proved to be a key team player and with his knowledge and drive, was asked to take on the role of Production Manager in 1999. He continually improved the production process in that capacity until the close of the Bushmaster plant in 2011. In 2011, Doug joined the WW team as our Production Manager, and once again has taken his team to new heights we only dreamed were possible. In his spare time, Doug is an avid motorcyclist, plays professional billiards, enjoys 4-wheeling and spending time with his family and sidekick, Bridget the beagle.